Blake Williams, 14, is a step closer to his collegiate dream. Williams hopes to go to college on a fishing scholarship. He’ll take another step toward that goal in August when he and his fishing partner Tate Webb, 15, travel to Lake Hamilton in Arkansas to represent Washington in a national fishing competition. “That’s what I’m really striving for in life,” Williams said of getting a fishing scholarship. 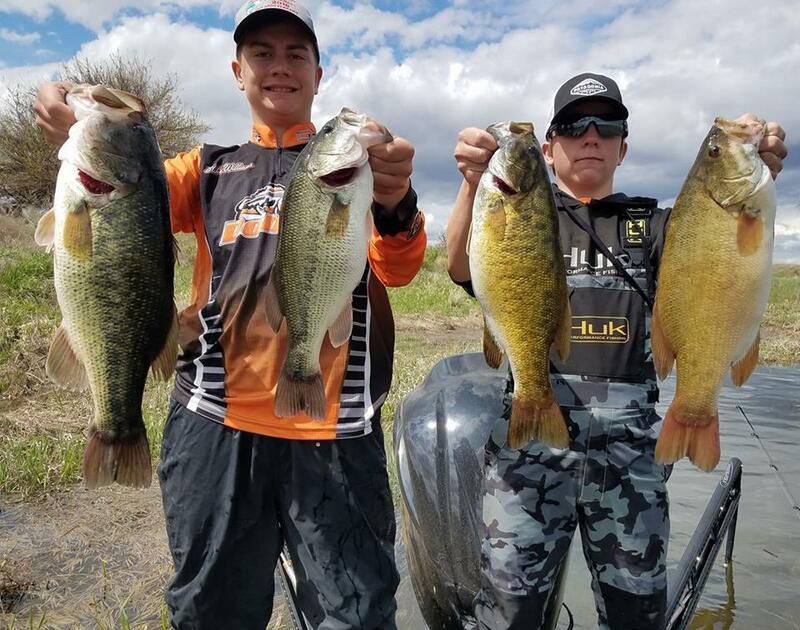 Williams and Webb, both from Pasco, earned a spot in the Bass Federation Junior World Championship competition by winning the Junior State Championship (15 and younger) at Moses Lake in May. The duo weighed five bass totaling 13.26 pounds. They beat the nearest competition by nearly 3 pounds. Collegiate fishing, while it may sound like a joke, is a real deal. About 600 universities offer some sort of competitive fishing club or team. Most of the colleges that have competitive bass fishing teams are in the southern United States, said Dave Bruggman, volunteer youth director for Washington’s chapter of The Bass Federation. About five Washington kids have gotten college bass fishing scholarships. Williams approaches fishing tournaments the same way athletes approach games. He’ll visit the lakes ahead of the tournament, scouting good spots. He also practices particular fishing skills, ones he can deploy strategically when needed. Although he’s been fishing since he was very young, he’s only competed in competitions for two years. And patience. While not a virtue 14-year-old boys are known for, Williams said the adrenaline rush of a catch makes up for any wait time. Williams and Webb will leave for Arkansas on Aug. 1, two weeks before the competition, so they have plenty of time to prepare. They’re hoping to raise $8,000 for their trip via a GoFundMe campaign. Until then Williams is working on his grandfather’s farm to earn money for the trip. Like Williams, Webb also hopes to get a fishing scholarship. And he’s hopeful about their chances in the national competition. Published: July 2, 2018, 5:16 a.m.